Sting.com > News > The Last Ship: 24-Hour Flash Sale Begins Monday at Midnight! 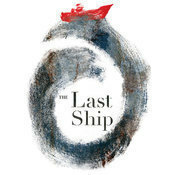 The box office for new musical The Last Ship will open on Monday, August 25 at 10AM/EST at the Neil Simon Theatre (250 West 52 Street), in conjunction with a special one-time-only 24-hour flash sale from midnight August 25 to midnight August 26. For one day only, seats will be on sale for $39, $59 and $85 in the rear mezzanine, mid-mezzanine or orchestra/front mezzanine, respectively. or thelastship.com using the promotional code OPEN. Beginning August 25, the Neil Simon box office will be open from 10AM - 6PM except Sundays. With the start of previews of The Last Ship on September 29, the box office will be open from 10AM - 8PM except Sundays. The Last Ship travels to New York following a pre-Broadway critically acclaimed tryout at The Bank of America Theatre in Chicago.